After English and Spanish, the third most-used language in the United States is one that’s not even spoken! It’s American Sign Language, a marvelously robust means of communication. In this article, we explore its history and practice. American Sign Language (ASL) is just one of over 200 distinct members of the larger worldwide family of signed languages. Developed within local deaf communities—which include deaf or hard-of-hearing people, friends and families of deaf or hard-of-hearing people, interpreters, and linguists—such languages use manual communication instead of sound to convey meaning and express a speaker’s thoughts to others. While hand gestures are the main component of sign languages, they are not the only ones, as hand shapes and orientation are often combined with the movement of hands, arms, or body, and facial expressions. Indeed, facial features such as eyebrow motion and lip-mouth movements are extremely significant, as they form a crucial part of the grammatical system. In addition, many of these languages use the space surrounding the signer to describe places and persons that are not present. As with virtually all signed languages, ASL is a robust, visual-spatial means of communication. Used by the deaf community in the United States and English-speaking parts of Canada, it is a linguistically complete, natural language—the “native” language of many deaf men and women, as well as some hearing children born into deaf families. Because sign languages emerge within deaf communities, it is not difficult to see that they tend to be specific to the culture (even that of a small region), and not universal. For example, iconic signs excepted, British Sign Language and American Sign Language are different and mutually unintelligible, even though the hearing people of Britain and America share the same spoken language. Nonetheless, just as there have been attempts to create a universal spoken language (Esperanto being the main variant), so too have there been attempts to create a universal sign language. None of these, however, has taken solid hold. In spite of this, general principles of non-spoken communication have been laid out, dating back to the sixteenth century, when Geronimo Cardano, an Italian physician, proclaimed that deaf people could be taught to understand written combinations of symbols by associating them with the thing they represented. The manual alphabet was introduced in 1620 by Juan Pablo de Bonet. In 1755 Abbé Charles Michel de l’Épée of Paris created and demonstrated a language of signs whereby each sign would be a symbol that suggested the concept desired. De l’Épée founded the first free school for deaf people where deaf people could develop communication through a system of conventional gestures, hand signs, and fingerspelling. Another instructor, Samuel Heinicke of Leipzig, Germany, did not use the manual method of communication, but taught speech and speech reading. These two methods (manual and oral) were the forerunners of today’s concept of total communication. Total communication espouses the use of all means of available communication, such as sign language, gesturing, fingerspelling, speech reading, speech, hearing aids, reading, writing, and pictures. In the U.S., Thomas Hopkins Gallaudet, a Congregational minister, became interested in helping Alice Cogswell, his neighbor’s deaf daughter. He traveled to England in 1815 to study that country’s methods of communicating with deaf people. Gallaudet met Abbe Roche Ambroise Sicard, who invited him to study at his school in Paris. After several months Gallaudet returned to the United States with Laurent Clerc, a deaf sign language instructor from the Paris school. (Interestingly, because of Clerc, ASL shares many vocabulary terms with Old French Sign Language). An important milestone in the history of education for deaf people was the founding of Gallaudet College, in Washington, D.C. in 1864, which remains the only liberal arts college for deaf people in the United States and the world. American Sign Language has its own morphology (rules for the creation of words), phonetics (rules for handshapes), and grammar that are very unlike those found in spoken languages. Its extremely distinctive and complex grammatical structure—in which a large part of the vocabulary is composed of words with many morphemes, or small pieces of words with meanings—is more like that found in Japanese or Navajo than in English. In terms of syntax, ASL employs what is known as a topic-comment syntax, while English uses Subject-Object-Verb. As distinct from spoken languages in which there is a single, serial stream of phonemes, ASL (as with other sign languages) reflects multiple communication events at the same time. It is typically the case that hearing persons who master sign language are children of deaf adults (often referred to as CODAs); such persons are often employed as sign language interpreters, whose function it is to mediate language barriers between people who are deaf and use ASL and people who can hear and speak English. It should be pointed out, however, that it is neither necessary nor sufficient to be a CODA in order to be a good sign language interpreter. CODAs have an advantage in that they are born within the deaf culture and are thus automatically accepted, whereas a hearing interpreter must create his or her own ties to the community and its culture. On the other hand, because CODAs have (possibly) been interpreting for family members for many years, old habits may be difficult to break and new, professional ethical considerations difficult to learn. In either case, as with other, spoken languages, much training is required to be an effective interpreter. For sign languages, interpreters must relay as accurately as possible the meaning of the messages being presented, including the nuances of feelings and attitudes conveyed by the participants, whether those messages are in spoken English or ASL or other types of signed communication. In addition, interpreters must be able to modify their language use to fit the needs of the participants involved in an interpreted situation. For example, interpreters in ASL face particular challenges when multiple participants are speaking at the same time; in heated discussions in which people interrupt or talk over each other; where side comments, puns, and plays on words are used—all of which may be important to the conversation but which may be awkward to translate; and where specialized terms, for which no signs yet exist in sign language, force the interpreter to spend time fingerspelling them and/or explaining them using a longer sequence of signs. Numerous sign language interpreter education programs have been established throughout the country. Most programs require general liberal arts courses as well as courses specifically related to the deaf community and interpreting. The best of these programs cover a variety of subject areas, including the role of an interpreter, a historical overview of the interpreting profession, public speaking techniques, understanding of and sensitivity to the deaf community, linguistics and language development, the interpreter’s code of ethics, physical factors involved in interpreting, the various specialized situations in which an interpreter might function, and extensive guided practice in the skills involved in interpreting. Sign language interpreters can qualify for National Interpreter Certification after completing a rigorous testing process that assesses the candidate’s skills, knowledge, and attitudes. The standards for testing are high, and extensive practical experience is often needed before trainees are able to pass. Once certified, qualified interpreters can be employed on either a full-time or part-time basis, salaried or freelance. Income varies, depending on certification level, experience, the interpreting situation, and other factors. Interpreters are needed in educational, medical, legal, recreational, mental health, religious, personal, financial, vocational, and other settings in which hearing, deaf, hard-of-hearing, and deaf-blind communicators need to facilitate the flow of ideas and information. For members of the general public, who wish merely to learn ASL without the goal of becoming an interpreter, they can find classes at local colleges as well as through the continuing education department of the local school board, vocational rehabilitation office, and other organizations serving deaf, hard-of-hearing, and deaf-blind people. American Sign Language: a student text units 10-18. Baker-Shenk, Charlotte and Dennis Cokely. 1991 . Gallaudet University Press. Washington, DC. The American sign language phrase book. Fant, Lou. 1994. Contemporary Books. Chicago. An introduction to the culture of Deaf people in the United States, content notes & reference materials for teachers. Humphries, Tom. 1991. 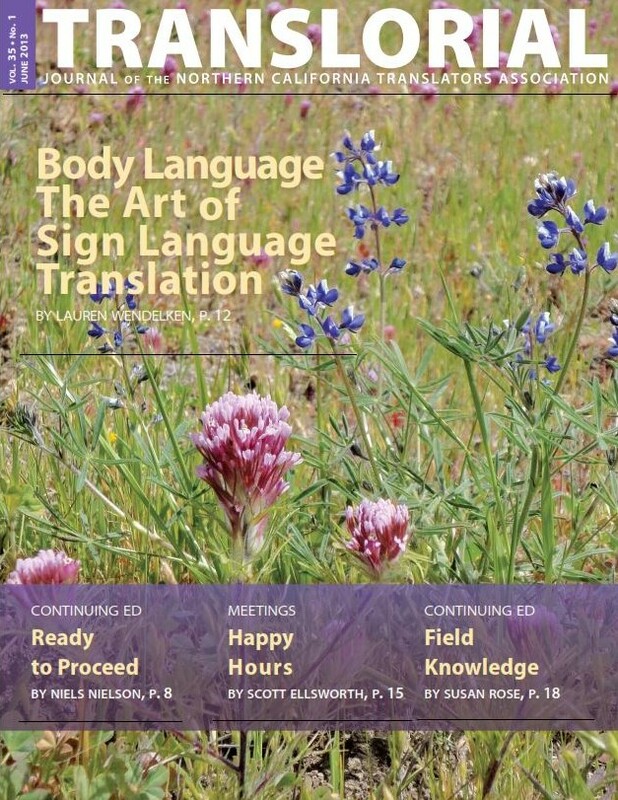 Sign Language StudiesSign and culture: a reader for students of American Sign Language. Stokoe, William C., ed. 1980. Linstok Press. Silver Spring, Maryland.